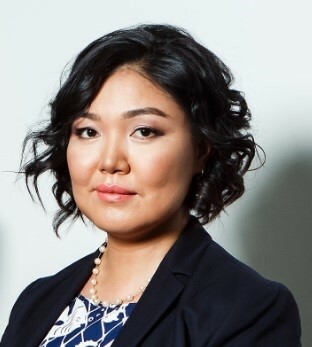 I have worked as the Deputy Resident Representative for the United Nations Development Programme (UNDP) in Kazakhstan from 2014 until now. During my tenure in Kazakhstan, our organisation was privileged to support the government’s core reforms and transformation processes geared towards social, economic and institutional modernisation. Out of these reforms, UNDP has focused its partnership with Kazakhstan in support of the goals which promote “government in service of the people,” and “governance for equitable development in all regions of Kazakhstan,” among others. Our partnership scheme, well established through Government-UNDP cost-shared initiatives in line with core priorities of the country, has achieved many transformational results in the past four years. UNDP is particularly proud of contributing to the ongoing modernisation of civil and public services. For example, together with the Agency of Civil Service and Anti-Corruption and the Astana Hub of Civil Service, we contributed to the development of new and competitive remuneration, competencies and bonus framework for civil service. In partnership with the Ministry of National Economy, UNDP helped analyse and optimise 43 high-demand public services, with the aim of improving their efficiencies and quality. UNDP has also helped implement in partnership with civil society and local akimats (regional administrations) landmark laws, which promote local self-governance and meaningful citizen participation in the local decision-making processes. UNDP, in partnership with the Ministry of Foreign Affairs and other partners such as Japan, helped develop in-country capacities for launching Kazakhstan’s Oversees Development Assistance (ODA) system, focused on helping other countries achieve the global development agenda, such as the Sustainable Development Goals and promote South-South cooperation. In 2017, UNDP, with sister UN agencies was privileged to participate in the global thematic EXPO 2017, Future Energy, hosted by Kazakhstan. The platform provided by the EXPO helped facilitate important global, regional and country-level dialogues to promote sustainable energy production and consumption in line with the Paris climate agreements, as well as provided us with an opportunity to feature green technologies in water, agriculture and energy for the benefit of the people and small and medium enterprises (SMEs). These are but highlights of a very productive and dynamic partnership which UNDP enjoys with the Government of Kazakhstan. By end of March 2018, I will have finished my official assignment here, and I’m grateful that I have had the opportunity to work with the people and the Government of Kazakhstan. I was lucky to be able to travel extensively through the vast and beautiful territories and regions and interact with the people and local governments all the way from Fort Shevchenko, Mangystau, to the township of Zaisan, East Kazakhstan. I have experienced the breathtaking beauty of national parks and bio-reserves such as Altyn Emel, Katon Karagai, and Kurgalzhin; have witnessed the enormous human capacities and potential of the people living in remote auls and districts and have learned about the county’s deep cultural and historical heritage. On a personal note, as a Mongolian, I have felt close kinship to each person I have had the honour to interact throughout these years. I am sincerely thankful for the wonderful experiences I have had and will always cherish in my heart the hospitality and friendship that has been extended to me and my family by the people of Kazakhstan. To all my colleagues and friends in Kazakhstan I would like to say: Kop rakhmet! Alga, Kazakhstan! Көріскенше! (Until we meet again! ).